DETROIT (AP) — Matt Patricia weaved his way through a crowd to hug the man who helped him live a dream. 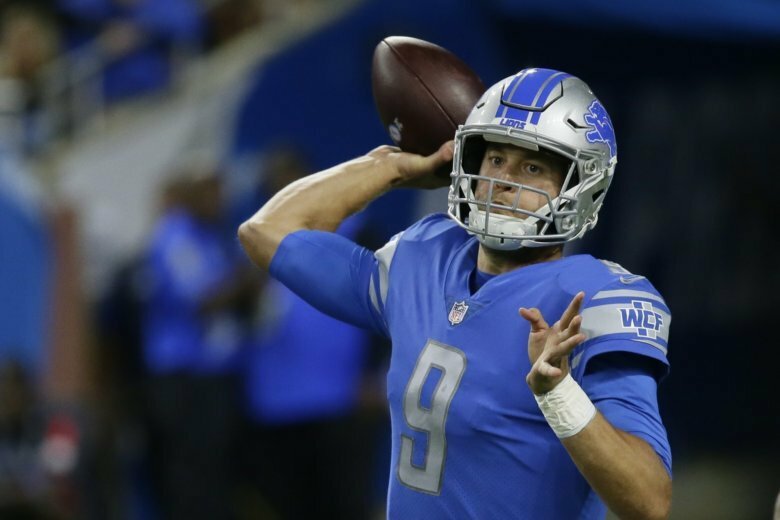 “I’m sure it meant a lot, his first win as a head coach,” Detroit quarterback Matthew Stafford said. “Probably no sweeter than to do it against your old team. “I’m just happy for the guys,” he said. “They’re the ones who deserve it,” he said. Johnson had 101 yards rushing on 16 carries, becoming the first player to reach the mark for the Lions since Reggie Bush ran for 117 yards against Green Bay on Nov. 28, 2013. Detroit’s 70-game stretch without a 100-yard rusher was the longest since the NFL-AFL merger. Darius Slay picked off Brady’s pass at the Detroit 15 midway through the fourth quarter, helping the Lions seal the win. “He knows everything about that team and he made sure we knew it as well,” Slay said.